June 2007: a barbaric nail bomb is planted outside a London nightclub, a spy is found dead in his garden, and a blazing Jeep is driven into Glasgow Airport. Three events bound by an earth-shattering connection that should have remained buried forever. 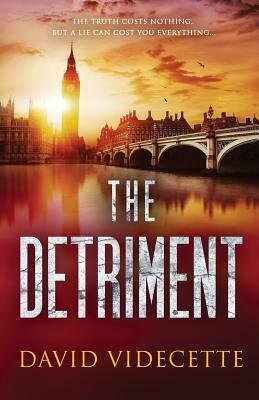 From the author of The Theseus Paradox, the smash-hit 7/7 thriller based on true events, comes the sequel about a real-life mystery that threatens to destroy a nation. Detective Inspector Jake Flannagan must uncover how a series of astonishing events are inextricably linked, before the past closes in on him. "I can't tell you the truth, but I can tell you another story..."
For the chance to win a signed, paperback copy of David Videcette's next thriller, visit: http: //www.DavidVidecette.com/title-reveal and pop in your email address. David is proud to support the charity work of the Police Dependants' Trust, through sales and downloads of his crime thrillers.